I am typically an all-or-nothing type of lady. When I do something, I go for it. And I am not normally a quitter. But in the past 2 months, I have quit two separate cleanses. Yup. Two. Totally embarrassing confession but I think there is value in this for all of you so here goes. The problem with my all-or-nothing attitude is that slow-and-steady are rarely my mantra so when I felt the Winter weight had crept up on me and the sugar cravings had really taken ahold of my life, I thought I needed to do something drastic to quick start my weight loss journey. 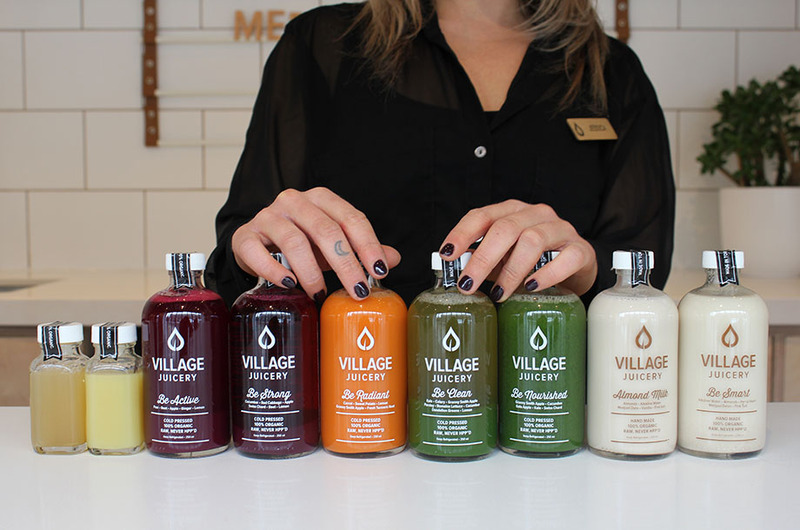 The first thing I did was contact the Village Juicery to do a Juice Cleanse. I barely lasted two days. I felt great but I was ravenous! And I was not the best wife or Mama to my dudes. Well, Mamas. I whole-heatedly disagree. You know what tastes better than skinny? A steak dinner with my husband on our patio, a martini with friends, an ice cream cone on a hot day with my little dude. While I do agree that the obesity epidemic in our culture is truly terrifying due to how much sugar in pure form and carbohydrate form is overtaking our lives, Life is worth LIVING. If you spend every moment of every day thinking about what you are going to eat, what your portion size is, how many Grams of such and such is in such and such, you are not living your life. Is skinny really the best thing we can aspire to? We take a more relaxed approach. Can you cut back on your sugar intake slowly? Can you cut back on your alcohol intake? Or your carbohydrate intake? Can you replace your bread with a lettuce leaf? Can you drink 2 BIG glasses of water for every alcoholic beverage? Can you fill your plate with veggies and eat them before the other stuff? Can you go for a long walk every day? What is one step you can take today to move you closer to health? What thing in your life brings you joy but probably overindulge in? How can you cut back on the garbage without wanting to lie in bed and watch Dawson’s Creek all day? Find that thing. Hold yourself accountable. And once you feel you have truly mastered that one thing, move on to the next, and then the next, and then the next and notice those shifts that happen within you. Remember I am here for support Mamas. Head on over to the Facebook group and get the Mamas there to help you be accountable.